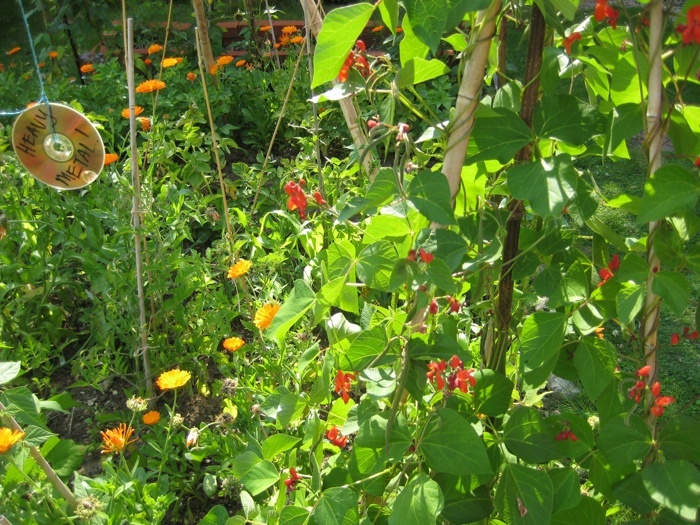 At the Allotment Plot on 27th August 2010, after a few days of consistent rain, Ella Montt observed that the Climbing Beans had not yet taken full advantage of the horizontal bamboo canes that were erected on a previous visit. 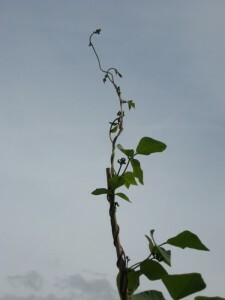 The Beans continued to reach for the sky in the style of a Jack and the Beanstalk action. 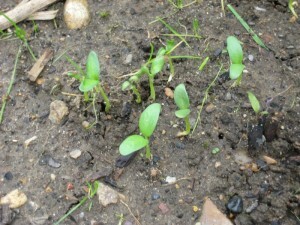 The Fenugreek seeds have sprouted and are growing. The day was a historic for Ella Montt in terms of the Allotment Plot and Allotment history. A new part of the Plot revealed itself. Earlier in the week, an electronic notification in the form of email had declared to Ella Montt that Allotment Plot tenancy was imminent at one of Reading town’s Allotment sites. On the 27th August before arriving at the Plot at MERL the tenancy agreement had arrived in the mail, along with the new Allotment key for Plot 326. At the time of signing up to the Allotment waiting list in November 2009, there were at least 38 individuals on the list for this particular Allotment site; in early August the numbers on that list for that site had risen to 75. The numeric nature of the list suggests that Allotment holders come and go, some have the same plot for years, others are in transit and the Allotment is a fleeting part of their reality. Allotment history is written into the tenancy agreement the dates of Acts passed in 1908 and 1950 it seems are still relevant today. 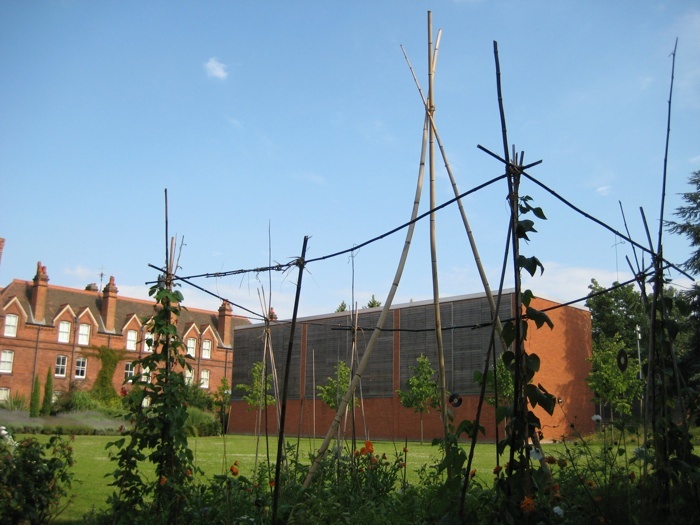 The Allotment Plot and the work of Ella Montt will expand to work both the MERL Allotment and Plot 326. Ella Montt adjusts the focus of the Plot to examine the growing activity on the Plot at MERL. Small Sweetcorn ears are forming. The Pepper plant looks like it was a one Pepper wonder, the weather conditions are defeating the plant, it is perhaps to cool now at night to allow the plant to flourish and produce more flowers for fertilization, the Aubergine is also not succeeding to produce fruit even though it flowered a few weeks a go. All other vegetable plants are achieving produce, but not at an accelerated rate. A surprise Cucumber is discovered. Cucumbers can be a resilient and pro active in their growing procedures. 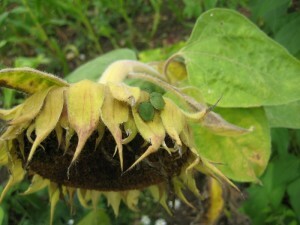 A Blue Lake Climbing Bean has decided to grow using a Sunflower as a physical support. 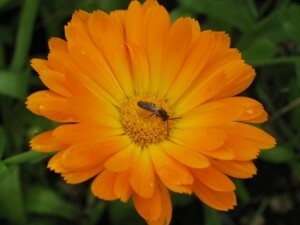 Beneficial insects are actively enjoying the Pot Marigolds and the Sunflowers. Harvesting commenced: French Climbing Beans Blue Lake 14oz = 400grams; Blauhide = 3oz = 90grams; Rainbow Chard = 2oz = 60grams; Tomatoes = 13oz = 370grams; Courgette 1.5oz = 40grams; Kale Pentland Brig 1.5oz = 40grams; Pot Marigold seeds = 1oz = 20grams. This entry was posted in Allotments, Artwork, Plot, Social Space and tagged Allotments, Art, MERL on September 5, 2010 by katecorder. 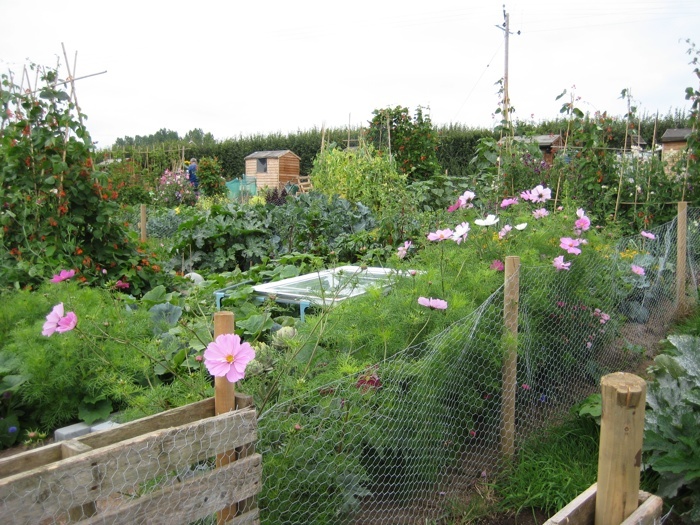 12 August 2010 – Two weeks had passed since the Ella Montt had visited the Allotment Plot. The Plot had not become chaotic, but was growing steadily. 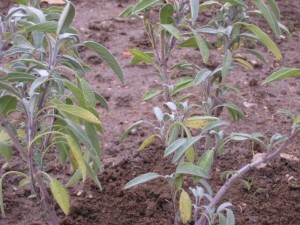 Ella Montt had visited a new Allotment site in rural South West England. 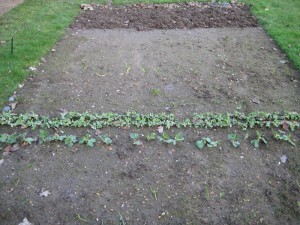 The Allotment site had started cultivation in March this year after a village had decided to search out a field that could be converted into Allotment growing space. 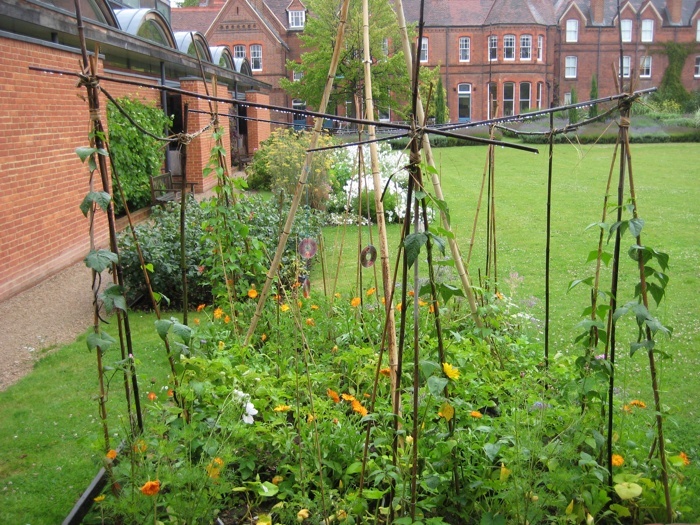 A village can have the advantage of negotiating new Allotment growing space from a landowner, if the village is in closer proximity to land as opposed to a city or town, however the negotiation always depends on the location of the village and the situation of the land, what it is already used for and who “owns” the land. Back at Ella Montt’s growing Plot at MERL, there was more research to be done. Ella Montt kneels on the ground and carefully digs the earth to uncover any remains of the buried Sweet Potato. The disturbance of the earth reveals a hardened lump that is barely distinguishable as the original tuber, it would seem that it was still composting, but producing very fine shoots or roots in the process. However the roots could be in themselves part of decomposition, a breakdown of nutrients absorbing themselves into the soil. The remains of the Sweet Potato are gently recovered and will not be disturbed again, but the area will be monitored for any signs of shoot growth. 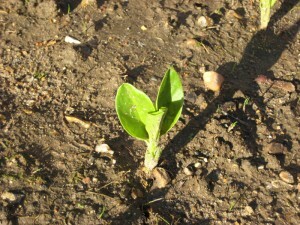 The Sweet Potato experiment will resume at the start of the growing season in 2011 as mentioned previously. The day’s weather is overcast; warm, but not overly so and somewhat humid. Ella Montt’s attention turns to other details of the Plot through an assessment of vegetation growth activity. Both Kales, Pentland Brig and Red Russian Curled, are not appreciating this summers weather conditions, harvesting of both will commence without further delay. 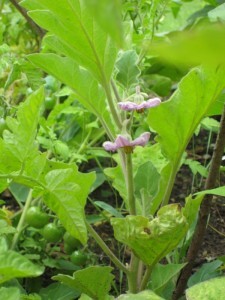 The Aubergine Black Beauty has two flowers. 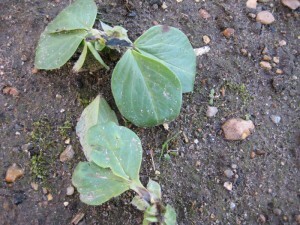 One small Squash has formed on a plant, but all of the Squash plants are being slow to grow and not producing the needed female flowers in order to form Squashes. Squashes are a good source of food for the winter, because they can be stored. 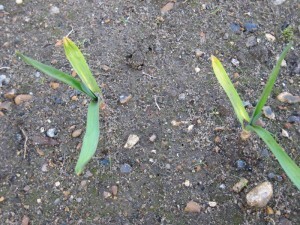 The Sweet Corn plants are starting to flower, but they are not tall enough to produce good ears. 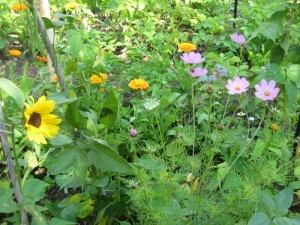 More Cosmos plants are growing. Harvesting commenced: Lettuce Marvel of the Four Seasons = 4oz = 100grams; Rainbow Chard = 4.5oz = 115grams; Kale Pentland Brig = 7.5oz = 200grams; Kale Red Russian Curled = 4oz = 110grams; 1 Runner Bean; 1 green Pepper = 1oz = 20grams; 1 Courgette Patriot F1 1oz = 20grams; 1 Courgette Soleil F1 = 7oz = 200grams; Dwarf Beans Royalty = 1oz = 20grams; 7 Tomatoes 2.5oz = 65grams; French Climbing Beans Blauhide = 6oz = 175grams and Blue Lake = 5oz = 145grams. In an effort to work towards achieving vegetable growing self-sufficiency through the Plot some more seeds were planted close to Sweet Corn. 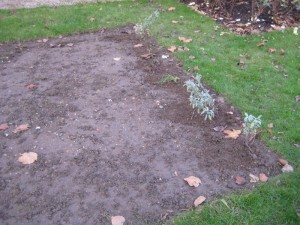 Seeds planted were Oriental Saladini, Borecole Nero Di Toscana, and more Carrot Amsterdam Forcing. Ella Montt sits next to Allotment Plot reading The Living Soil by author Eve Balfour. This book, first published in 1943 by Faber and Faber, was an informative research text that assisted in the initial formation of the Soil Association. An original copy of Lady Eve’s book sits across the garden in MERL’s reading library archive. Chapter III HUMUS is being read again today. 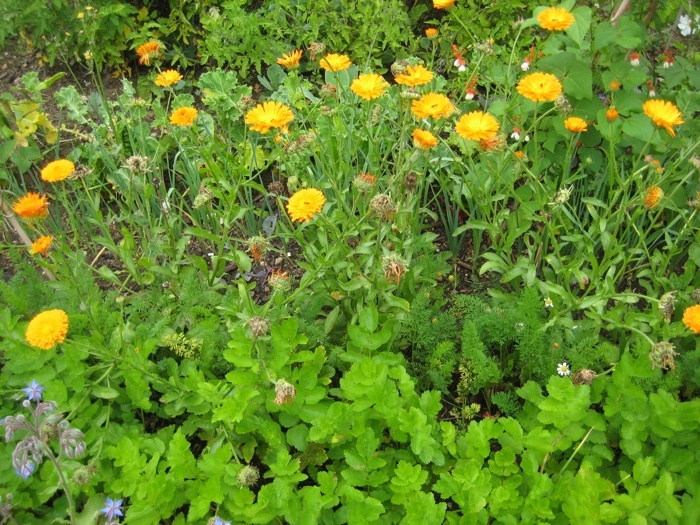 Whilst reading, a woman and her child is silently observed removing seed heads from the prolific Pot Marigolds, she places the collected seeds in a paper bag. Earlier the woman had been seen to be amused by the Heavy Metal CD pigeon deterrents. This entry was posted in Allotments, Artwork, Growing, Harvest, Planting and tagged Allotments, Growing, Harvest, MERL on August 20, 2010 by katecorder. 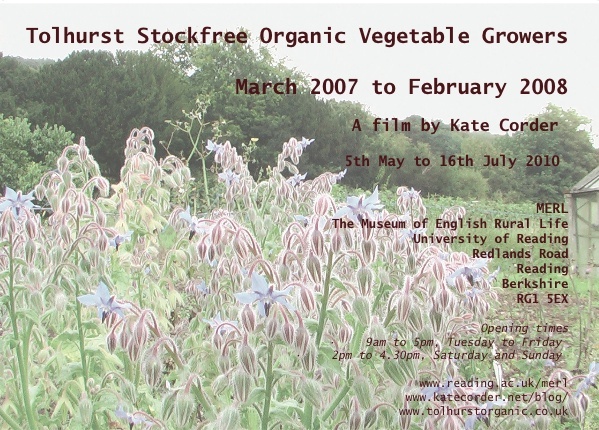 This entry was posted in Artwork, Event, Exhibitions, Growing, News, Organic, Planting, Veganic and tagged Art, Crops, Exhibition, Food, Growing, Harvest, MERL, Organic, Veganic on May 17, 2010 by katecorder. The plot thickens. A uniform is most sort after for the Community Gardener and will be under construction sometime soon….. Herbs were planted at the Allotment Plot at MERL; sage, garlic chives, mint, roots scavenged from the somewhat altered Herb Garden at the Fine Art Department. 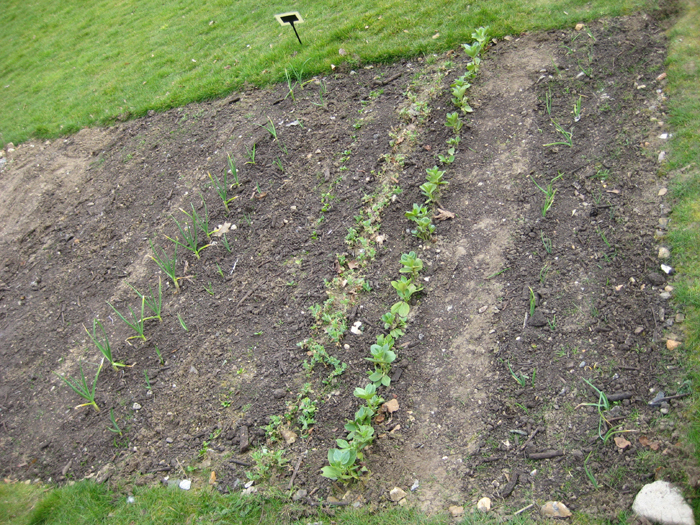 Digital images were taken of peas, broad beans, onions, garlic, and spinach pushing through the soil as the plot thickens. The weather is most Autumnal, Winter is approaching, it is close to December. 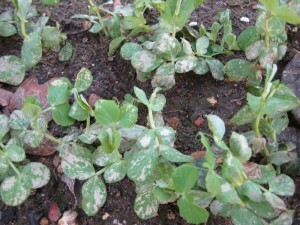 Much rain and wind, now frost perhaps on its way, what will happen to the peas? 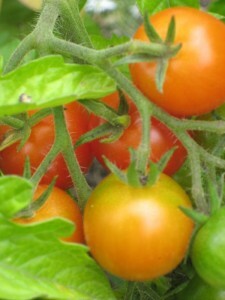 They are not clothed in horticultural fleece, how long will they survive without protection? 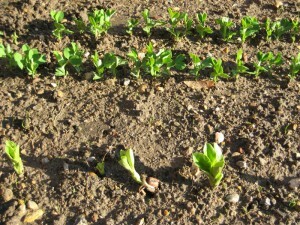 Still no slugs in sight, this pleases the Community Gardener. This entry was posted in Allotments, Artwork, Gardening, News and tagged Allotments, guerrilla gardening, MERL, Planting, Plot on November 28, 2009 by katecorder. Last week I measured out a space approximately 3×5 meters at the Museum of English Rural Life (MERL) on Redwood Road, Reading. The space was marked with sticks and strings. 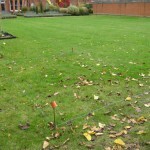 This week the turf will be removed to reveal the plot I will be using for my allotment. The plot will function as an artwork, a practice based research area on which I shall work, as an actual vegetable allotment. 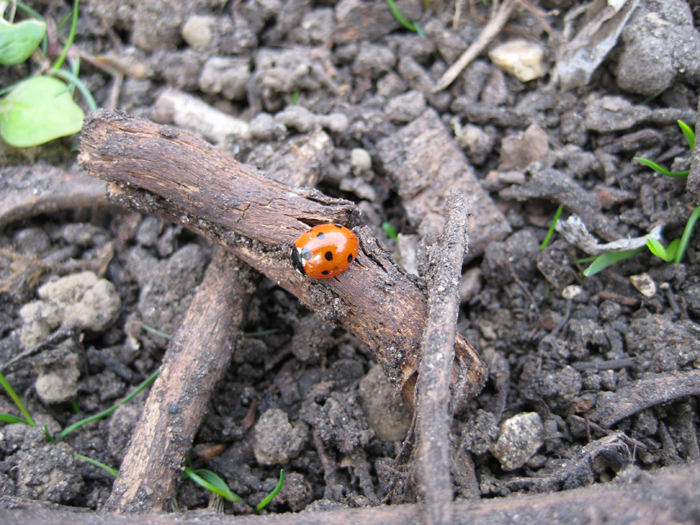 This entry was posted in Allotments and tagged Allotments, MERL, PhD, Plot on October 25, 2009 by katecorder.